If you would like to be notified of any Promotions, Special Offers and Discounts please provide your email address to us. Click here to subscribe. We are confident that our prices are very competitive and therefore even on small orders you are benefiting from already discounted prices as standard. 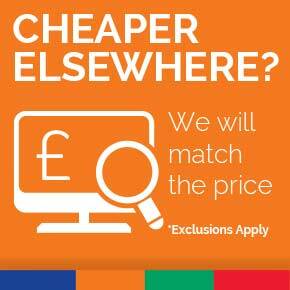 We constantly monitor our prices and if you find the same product cheaper elsewhere then we do have a price match promise. If your order is over £500 you can use the code BIG10 for an extra 10% discounts on most items*. (Certain ranges and items are excluded from the 10% discount) The code is only applicable to online orders and cannot be applied to your retrospectively. 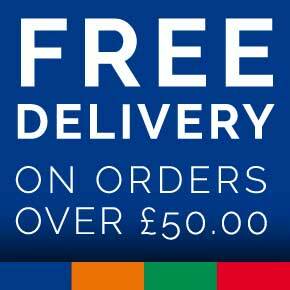 Delivery is FREE on orders with a total value over £50 inc. VAT to UK Mainland addresses only.